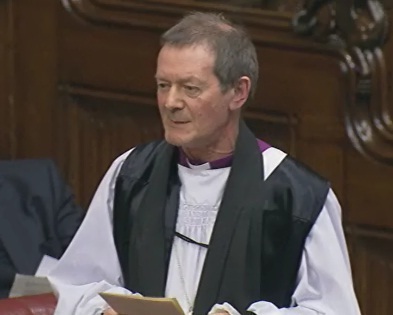 On 11th June 2015 Lord Loomba led a debate in the House of Lords entitled “That this House takes note of the case for empowering women, including widows, in the developing world in order to aid conflict resolution and the long-term sustainability of more stable societies.” The Bishop of Derby, Rt Revd Alastair Redfern, spoke in the debate. The Lord Bishop of Derby: My Lords, I, too, want to thank Lord Loomba for securing this debate and giving us this chance to discuss with the Minister and the Government our priorities and contribution to these issues across the world. We all know that there is a strong link between the well-being of women and girls and peace, security and development. It is in our UK national plan and is a very big part of my own experience. I am privileged to be a trustee of Christian Aid, and we deliberately prioritise investment in women and girls to secure the transformation and development of needy societies. Within my own Anglican tradition, the Mothers’ Union Worldwide does amazing work in places such as Rwanda, empowering women to transform communities. In my diocese, we have an annual harvest appeal and, for the last several years, have invested in helping women in Delhi set up recycling businesses and, this year, helped educate girls and women in Angola. It is right on the forefront of making a difference. My work on the Modern Slavery Bill opened my eyes to the appalling international abuse and oppression of women through sexual violence and exploitation. I am very pleased that we include widows in this debate. Some noble Lords may have noticed that, in May, we had Christian Aid Week, and there was a particular focus on widows in Ethiopia. We know from work that we are already doing there that investing in cows and providing a means of a livelihood for women, and then for their families if they are widowed and become the head of the household, creates not just economic empowerment but gives people status in the community as a proper agent and therefore a much stronger position, especially for their daughters, to stand up against things such as forced early marriage or female genital mutilation. If we empower widows in that way as they head households, it has an amazing effect on the children, especially girls, in those households. The UN estimates that one in three women suffer from beating, sexual coercion or abuse. It is an issue of confronting social norms and institutions, because it is those social values and institutions that enable this oppression and abuse just to roll on. It is very important that we do not depict women simply as victims needing help, but as contributors with a very important part to play. One critique of the millennium development goals, as you know, was that focus in this area was perhaps on symptoms rather than causes—trying to reach out to empower women in an initial way but not giving them the capacity to make a difference to cultural norms and their institutional frameworks. The danger is that women are seen as providers and consumers for the benefit of the family. That can be a cheap way into development—women provide and are consumers to develop the family. It makes me think of the struggles in the 19th century in our own country, when Ruskin and others developed the doctrine of the two spheres. This was designed to help women by saying that women had a sphere in which they should really grow and develop—that of the home—and men dealt with the world and all the stuff outside. That was an attempt to be positive by creating space for women to grow in. However, it is such a powerful doctrine in the DNA of countries across the world that it in fact entraps women, as we know. My own Church of England has only just succeeded in the struggle, after years, to appoint a woman as a diocesan bishop. There is still an amazingly patronising, two-sphere kind of culture, not just in our church but in our country. If it is a struggle in our own culture, how on earth are we going to help contribute in developing cultures to moving away from that kind of mentality, which is so oppressive? It is an issue of power relations, education opportunities and cultural values, and that is the most difficult thing to get transformation on. All the evidence shows that an unregulated market of goods and cultural values actually makes the situation worse for women because it gives the impression that development is happening and that there can be economic benefit. However, if we do not tackle the gender imbalance that is built into cultural values, an unregulated market makes this problem worse in development, rather than better, by giving some signs of development but, underneath, women are trapped in these very limited and oppressive spaces. There has to be a multipronged approach involving government, business and faith groups. In Christian Aid, we work with partners on the ground that know about the pace of change and how to deliver it. I just heard a report at a Christian Aid board meeting of a seven-year project to work with communities to help the male elders begin to involve females in the leadership of their tribes. It took seven years to make any change. That local expertise and sensitivity is needed to make a social transformation that will last, rather than some great perfect plan that everybody says yes to but does not really buy. It is the same with economic development. Christian Aid works in Malawi with women with HIV and malaria. The project is not just a medical, caring one, which is the way that development for women is often done; it involves giving people loans, facilities to develop businesses and mentoring so that the development is wholesome and the culture is challenged to change, with women taking leadership roles, across not just politics but economic activity. I would like to finish by asking the Minister to consider four questions. The first is to add my voice to that of a number of others in this debate on the sustainable development goals. How might the Government ensure that there are targets on gender equality and women’s rights and opportunities, and widows, in those sustainable development goals? What are the Government’s plans for these last few months of negotiation? Secondly, picking up on a point made by the noble Baroness, Lady Barker, we could do a lot more to collect data in many countries about rights, social groupings, incomes and the pattern of development. We have the wherewithal to bring data together and see new things that might identify where women are being held up and not enabled to contribute and to make a difference. How do the Government see their role in helping to enable data collection and analysis, and what contribution can this country make? Thirdly, I told you the story about a seven-year project to get women even beginning to be involved in the political leadership of their tribes. How can the Government offer funding, through DfID, for instance, that is for the longer term and for a sustainable timeframe? What are the Government’s funding policies and priorities that will enable projects to work over seven years in a given place and not just in the short term, which is often what many deals are about? Finally, what part might the Government play in challenging the unregulated market forces that unintentionally, I think, make the problem worse? What can the Government do to have a proper counterbias to change the gendered culture and give space for women to contribute? The market does not give space for that and the two-sphere idea is still pretty powerful in developing countries. How could the Government articulate, through DfID and its investment and support, a real gender bias to counter the inertia of that two-sphere culture that the market otherwise can just uncritically develop? The Parliamentary Under-Secretary of State, Department for International Development (Baroness Verma) (Con): [extract]…As roles are redefined and new needs arise, girls and women have new opportunities to play a bigger determining role both politically and economically. This can be of benefit to not only them but their communities. For example, women’s participation in peace processes and decision-making ensures resolutions are reached more quickly and are more lasting and meaningful. That was eloquently illustrated by my noble friend Lady Hodgson, the noble Baroness, Lady Kinnock, the right reverend Prelate the Bishop of Derby and others…..The noble Lord, Lord Loomba, the noble Baroness, Lady Prashar, and the right reverend Prelate the Bishop of Derby all asked about the post-2015 development framework. There is a lot that I could say but time is against me. Perhaps noble Lords will allow me to write to them, because it is important that the speakers participating in this debate see the great thinking that is going on behind those goals. That would be much more informative than a simplistic answer provided by me now.